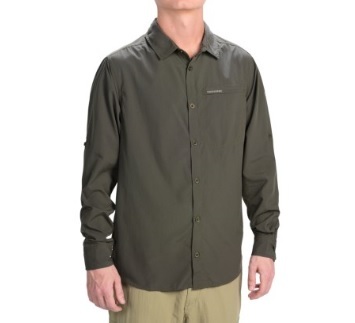 CRAGHOPPERS Nosilife Long Sleeve Shirt in Dark Khaki incorporates insect repellent technology to protect against bites. UPF 40+ sun protection. Please check stock on 03 51531497 before purchasing.